Despite the constant updates and the plethora of information we receive about healthy eating habits, it is still unknown to a great extent which foods can be considered irreplaceable in our diet because they are proven to protect our health and promote longevity. According to studies these 6 foods can add years to your life and should not be missing from your diet. It is a food that unfortunately is avoided due to the strong characteristic odor. But if we consider the health benefits of garlic, maybe we should rethink our views and find a place in our diet for it. Rich in potassium and vitamins C and B6. The 100 gr. provide 98 calories, while one clove (3 g) gives only 3 calories. Has a protective effect on the heart and brain cells, so it is believed to promote longevity. It can detox and tone the body while at the same time it strengthens the immune system. Eating garlic on a regular basis has the ability to reduce cholesterol, blood pressure and blood clotting. 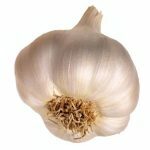 Another characteristic of garlic is that it can combat bacteria and fungi therefore reduce the risk of infections and food poisoning from dangerous microbes. Finally, according to recent surveys, may protect against some forms of cancer, including cancer of the stomach, colon and prostate. Women who are breast feeding, because it causes colic in the baby. People who make anticoagulant therapy because of the risk of bleeding. Patients suffering from the AIDS virus because it reduces the effectiveness of some drugs. The benefits of vitamin C are known to all, what is worth noting is that 1 orange covers a large percentage of the daily needs of the body in vitamin C.
Rich in vitamin C, folate, potassium, selenium and fiber. 1 orange provides 62 calories. 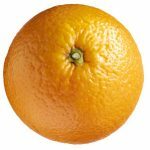 What are the benefits of Orange? Revitalizes the immune system, enabling the body to defend itself against colds and infections. Because of the fiber it is containing, has the ability to lower cholesterol, and also protects against heart attacks and strokes, probably because of the valuable components, such as potassium, folate and vitamin C.
3. Onion – The food doctor! Another food that is usually avoided due to the strong characteristic odor is onion. Peeling onion causes tears, something we can avoid if you peel them under running water. 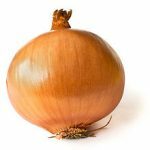 Recent studies showed that the onions with the most intense pungent flavor contain more antioxidants, and have a greater therapeutic effect. The best way to consume onion is raw, although it causes bad breath. You can use it in salads, sauces and cooking. It is best combined with olive oil and tomato. Rich in vitamins B, C, E, potassium, calcium and fiber. The 100 gr. provide 36 calories. At the same time, eliminates toxins from the body, plus helps fight asthma, colds and the flu. It is a highly nutritious fruit in a variety of colors and flavors. 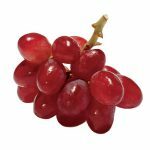 Although many believe that the red grapes are the most beneficial for our health, it is a fact that all kinds of grape offer similar benefits. Rich in vitamin A, B, C and potassium. The 100 gr. grapes provide 60 calories. It is perhaps the most important food for detoxing. Increases diuresis thus helps flush toxins and combats fluid retention. The oil from the seed of the grape is rich in fatty acids, which help prevent cardiovascular diseases, since they have the ability to lower cholesterol. Moreover, it has antioxidant properties that prevent the creation and activity of free radicals, thus helping to preserve youthfulness. Finally, it is a natural medicine against indigestion, constipation and hemorrhoids. 5. Apples – The powerful antioxidant! All apples are rich in nutrients, although it is believed that red apples are richer in antioxidants. Rich in vitamin C, biotin, potassium and fiber. One medium apple (160 g.) Gives 80 calories. It has strong antioxidant activity. Recovers lost energy and reduces mental and physical fatigue. It stimulates the body and detoxifies. 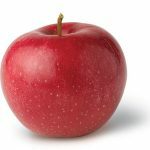 Apples are very high in antioxidants and fiber and they help fight constipation, lower cholesterol and fight obesity. The yogurt is milk curdled and fermented with 2 bacteria. 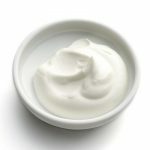 Bacteria must be “live” in yogurt throughout the duration until consumption. It is a healthy, light, nutritious and highly digestible snack, ideal for all ages. Along with milk is the main source of calcium and it is an essential component of the Mediterranean diet. Rich in high quality protein, vitamins B, A, calcium, phosphorus, zinc and iodine. 100 gr. skim yogurt (0%) provides 52 calories. 100 gr. Full yoghurt (10%) provides 130 calories. It represents the best alternative for obtaining the necessary calcium when there is intolerance to lactose-containing milk. The bacteria it contains restore the balance of intestinal flora, which is important for proper functioning of the intestine and prevent gastrointestinal problems. Eating yogurt is particularly beneficial when you take antibiotics, which destroy the natural flora of the intestine. 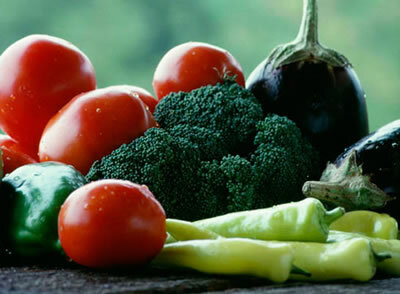 Helps in the fight against obesity as it offers a great sense of satiety, with a few calories. It has also been shown that diets containing yogurt are more effective, probably because of the calcium content, which contributes to the metabolism of fat and weight reduction.